Fernando Alonso says he has grown more emotionally attached to his remaining races in Formula 1 since announcing he will leave the grid in 2019. The two-time world champion will leave McLaren at the end of the year to go in pursuit of the 'Triple Crown'. Alonso confirmed during F1's summer break that he would depart the sport, having spent the past four seasons struggling in midfield at best with McLaren. Although he is yet to confirm where he will race next year, Toyota reportedly want to retain him for another World Endurance Championship season, while McLaren's potential move into IndyCar could give him another option. But with just four grands prix left in his career, Alonso says it has finally started to sink in. "I've found myself recording the parade laps in the last couple of races with my phone," Alonso told CNN. "I've never done that in my life, but now it's like I want to record everything. I want to have that last memory of each race. "From August, when I decided to announce the retirement, every single race has been a little more emotional than normal. "Every driver's parade, every fan session has been a little bit different... it gets even more difficult." 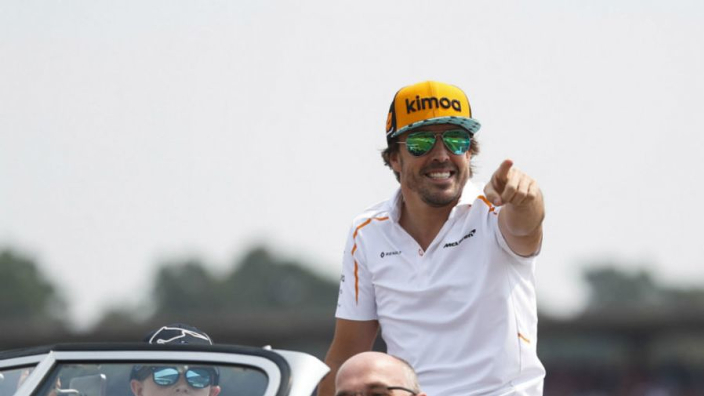 Although a potential move to IndyCar has reportedly been made difficult by a strained relationship with Honda, Alonso is confident that he can achieve his goals post-F1. "I achieved much more than what I dreamed of when I started," he added. "I think it's the right time now because there are some other challenges out of Formula 1 that I'm very, very interested in now. "My idea is to win all the iconic motor sport races in the world."